Amber’s awful sister Poppy makes her life hell, but she’s finally found the courage to escape. She’s heading all the way to sunny Cornwall, where she means to forge a brand new life for herself. Her family think she’s just gone on holiday, but Amber knows she can’t go back. 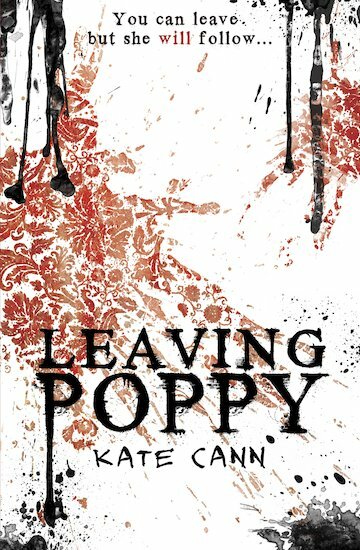 All her life she’s played second fiddle to Poppy: demanding, spoiled Poppy, whose violent rages terrify everyone. But when Amber falls ill and her family come to look after her, something in the house responds to Poppy’s volatile presence. Something malign and threatening. When Poppy moves into the attic, its evil starts to spread. Will Amber ever escape Poppy’s clutches? From a brilliant storyteller, this is a chilling portrait of sibling rivalry with an icy supernatural twist. When Kate was a child, she wanted to be a witch. Her first foray into writing was a collection of spells full of rats’ tails and bats’ wings. Kate says, “At thirteen, I began keeping a lurid diary, full of adoration or loathing, depending on who I was writing about. I used my later diaries for the DIVING IN trilogy.